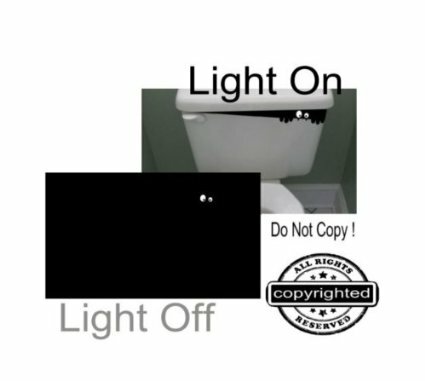 A glow-in-the-dark sticker for your toilet. Awesome for general fun or pranks. With the lights off you just see the eyeballs on the toilet.